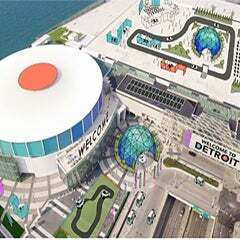 DETROIT July 11, 2017 -- Claude Molinari, general manager of SMG/Cobo Center, today announced the facility has entered into an eight-year contract with the North American International Auto Show (NAIAS) to keep one of the world’s most influential auto shows in Cobo Center through 2025. The first multi-year agreement between the two companies was signed in 2012. The five-year agreement was unprecedented at the time. Prior to that, Detroit was in danger of losing NAIAS, one of the region’s most valuable assets. 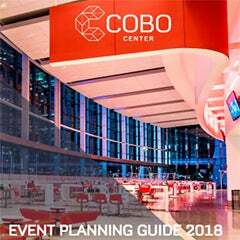 Since that time, Cobo Center’s $279 million renovation has been completed, SMG management has changed the business model, the center has been rebranded and advanced technology enhancements has made it state-of-the-art. 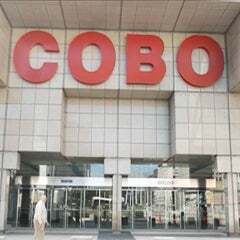 The contract will include additional days to the NAIAS in Cobo Center for upcoming years. Beginning next year, The Gallery will return to Cobo for the official kick off of the event, including a nearly $10 million collection of the worlds luxury and supercar nameplates, along with an activity to benefit local children’s charity. Additionally, the AutoMobili-D exhibit will expand by 30,000 square-feet, now encompassing 150,000 square-feet, and will run through the 3-day Press Preview and 2-day Industry Preview, and the first weekend of the Public Show.